3D printed ‘super batteries’ from graphene ink! Manchester Metropolitan University is embarking on a project to 3D print “super batteries” from graphene ink. 3D printing, where layers of graphene are assembled on top of one another, maximising surface area in the process, offers a solution. Now researchers at MMU are analysing techniques for printing with conductive graphene ink, in order to try and create batteries, supercapacitors and other energy storage devices with the help of a grant from the Engineering and Physical Sciences Research Council. “We’re trying to achieve a conductive ink that blends the fantastic properties of graphene with the ease of use of 3D printing to be manipulated into a structure that’s beneficial for batteries and supercapacitors,” explains Craig Banks, a professor of electrochemical and nanotechnology and leader of the three and a half-year project. The batteries and supercapacitors would be used to power phones and tablets, or for solar, wind and wave power storage. The combination of the conductivity from the graphene and the 3D nature of the structures, which have “high surface areas, good electrical properties and hierarchical pore structures/porous channels”, should increase the storage capabilities of batteries to meet future demands. 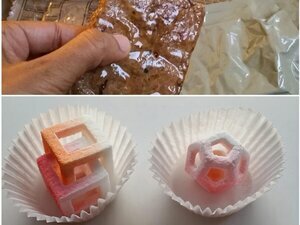 As well as working on the graphene ink, the 3D printing process also must be refined. It currently relies on each layer of graphene being left to “cure” for an hour before the next layer can be applied. 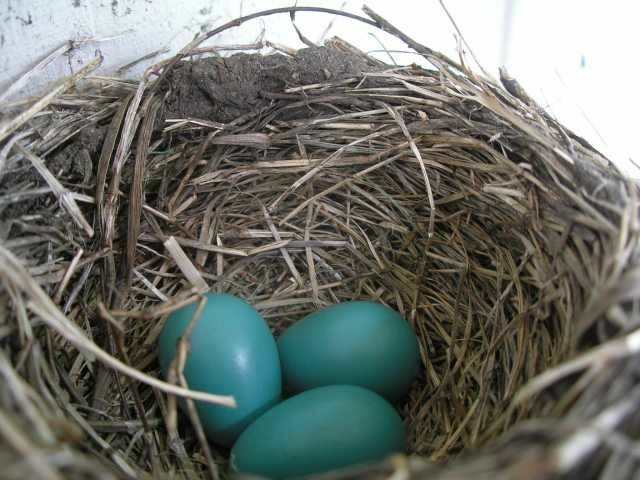 Banks is hoping to find a method to speed this process up, perhaps by using UV light. “Ideally, we could have the brilliant scenario where you just plug in and go — printing whatever structure you want out of graphene from a machine on your desk,” he says. Graphene was discovered in 2004 at the University of Manchester, which has recently become the home of the National Graphene Institute — a £61 million building to house the university’s groundbreaking work. This particular research will be taking place at MMU rather than at the University of Manchester, but it is yet another project that shows the city remains a world-renowned centre for research graphene. Disney develops 3D printed 2-legged robot! There are just a few companies in the world that need no introduction, and Disney is one of them. After all, who didn’t grow up watching Disney classics? But did you know that Disney does more than shoot box office hits, record terrible catchy songs and avoid theme park-related lawsuits? They also have an active Research Department charged with creating actual, rather than digital, creations which can be used for throughout the Disney imperium. And the department’s latest achievement is impressive: recreating the walking movements of animated characters in bi-pedal robots, which they have done using 3D printing technology. As three scientists attached to the department in Pittsburgh – Seungmoon Song, Joohyung Kim and Katsu Yamane – explain, they set out to develop robotics that can be used to make Disney’s theme parks and toys more realistic and magical. After all, fit young heros from Disney’s movies and TV shows don’t exactly perform well when moving as stiffly as paraplegic grandmothers. ‘Creating robots that embody animation characters in the real world is highly demanded in the entertainment industry because such robots would allow people to physically interact with characters that they have only seen in films or TV. To give a feeling of life to those robots, it is important to mimic not only the appearance but also the motion styles of the characters,’ they write. And you might be surprised to learn that their solution is somewhat similar to what you and I would do for a project: just 3D print it and add some servo motors. Of course it isn’t quite so simple, but to capture the exaggerated gait and movement of animated characters they first 3D printed leg components to match the structure of their potato-like character, which you can see in the clip below. ‘We start from animation data of a character walking. We develop a bipedal robot which corresponds to lower part of the character following its kinematic structure. The links are 3D printed and the joints are actuated by servo motors,’ they explain. All these parts were 3D printed using Stratasys’ Object 260 Connect 3D printer in RGD525 material. Of course these need to be very specifically angled and positioned to ensure that 3D movement can be recreated. And Trajectory optimization software does most of the rest. ‘Using trajectory optimization, we generate an open-loop walking trajectory that mimics the character’s walking motion by modifying the motion such that the Zero Moment Point stays in the contact convex hull,’ they write. Now this process is more difficult than it sounds, but for a full description of data extraction and installing the mechanics you’ll have to dive into the full scientific article here. But the results are obvious, though not perfect. The robot can definitely walk well, but doesn’t reproduce the digital models perfectly and has a tendency to wobble. ‘When we play back the optimized trajectory, the robot wobbles forward. It is because the robot does not produce the motion perfectly. For example, the stance leg flexes more and scuffs the swing foot at the beginning and end of the swing phase. This causes the swing foot to push against the ground and the stance foot to slip, which results in unstable walking,’ the scientists write. One solution for this is slowing down the process. ‘We observed that the robot slips less as we play back the optimized motion slower, and the resulting walking looks closer to the optimized walking,’ they write, but conclude that the system just isn’t working optimal for now. While there are few options for more progress – including investigating structural materials and replacing 3D printed parts – it looks like we’ll have to wait a few years before running into mechanically-sound walking Disney characters at Disney world. Meanwhile Down Under, Scientists Build the World’s 1st 3D Printed Jet Engine! Australian engineers create world’s first 3D printed jet engine. MICHAEL BRISSENDEN: Forget trinkets and toys – 3D Printers have now entered into the realm of jet engines. Yes, Australian engineers have created the world’s first ever 3D printed jet engine. Their work has attracted the attention of Boeing, Airbus even the chief scientist of the US Air Force and the researchers expect it will lead to cheaper, more fuel-efficient jets. Some even see it as a potential saviour for the manufacturing industry. From the Australian Air Show in Avalon, here’s the ABC’s science reporter, Jake Sturmer. JAKE STURMER: The cutting edge of military technology is on display here at the air show. But it’s Amaero Engineering’s tiny booth that’s gathering a large amount of attention. AIR SHOW VISITOR: Oh, might want show my son that. He’ll be impressed. JAKE STURMER: Amaero’s CEO, Dr Robert Hobbs, and researchers at Monash University have created the world’s first 3D printed jet engine. In reality, the breakthrough opens the door for engineers to make and test parts in days instead of months. (Question to Robert Hobbs) What does that mean in dollar terms? Is that cheaper engines? Is that more efficient engines? ROBERT HOBBS: Yeah. Particularly- Well, both actually, but particularly more efficient engines because it allows them to go through the development cycle much more quickly. JAKE STURMER: It all started two years ago when French aerospace giant Safran challenged the researchers to make a 3D printed version of one of their old jet engines. They passed with flying colours, shaving weight off the turbines in the process. They’re now working on top secret prototypes for Boeing, Airbus and defence contractor, Raytheon. There are potentially massive deals on the table and it’s all made in a lab in the suburbs of Melbourne. The small garage-sized facility is home to the world’s largest printer of its kind. Technically known as additive manufacturing, it uses a high powered laser to fuse powdered nickel, titanium or aluminium into the shape of objects. Monash University’s Vice-Provost for Research, Professor Ian Smith, says the potential is virtually limitless. IAN SMITH: It’s opened the door. We’re only scratching the tip of the iceberg. We’ve talked about how it can be useful in the aerospace industry, we see enormous applications in the biomedical industry. For, for example, if you’re unfortunate enough to have one of those serious car accidents, you can be scanned in the scanner, that information can then be taken to a 3D printer and while you’re in the operating table we can print those precise body parts that you might need. JAKE STURMER: Spare parts for people and potentially cars too – a chance to stave off a decline in manufacturing. IAN SMITH: We’ve all heard the demise of the motor industry and that’s bad but I think the real impact has been the demise of the supply chain industry that supports that motor industry. We would like to think that revolutionary disruptive technologies like this, can take the place of some of the more traditional industries, and we can build new industries or we can regenerate existing industries with these kinds of technologies. MICHAEL BRISSENDEN: The ABC’s science reporter Jake Sturmer speaking to Monash University’s Professor Ian Smith. 3D printed ears are going to be transplanted on children in India, hopefully restoring their hearing! 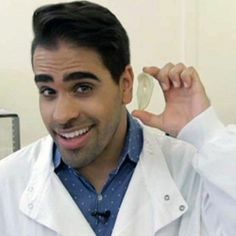 The BBC will be airing an exciting special BBC Inside Out London special in which the show’s host, Dr. Ranj Singh, pays a visit to the lab of Professor Alex Selfalian at University College London where he and his team are in the process of 3D printing ears made from real human tissue. As you’ll see in the preview clip below, the lab uses uses accurate scan data to 3D print an ear replica from a nanopolymer. The print is then sterilized and implanted under the skin of a patient’s forearm, where it acts as a scaffold for human tissue. Skin and blood vessels grow in around the print over the course of four to eight weeks, at which point, a plastic surgeon removes the ear and places it on the head. 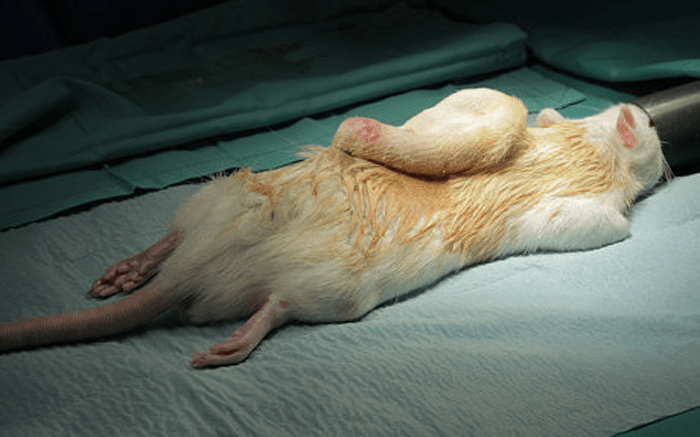 The scientists at UCL have already tested the growth procedure on rats and, in the next few months, they hope to perform their first human trials in Mumbai, India, where twelve children are awaiting the surgery. If the implants are a success, the procedure could replace the current method for handling this congenital deformity, which requires shaping rib cartilage into the shape of an ear and three or four different surgeries.